1. To Be a SMART Pharmacist, New generation pharmacist be different. 2. 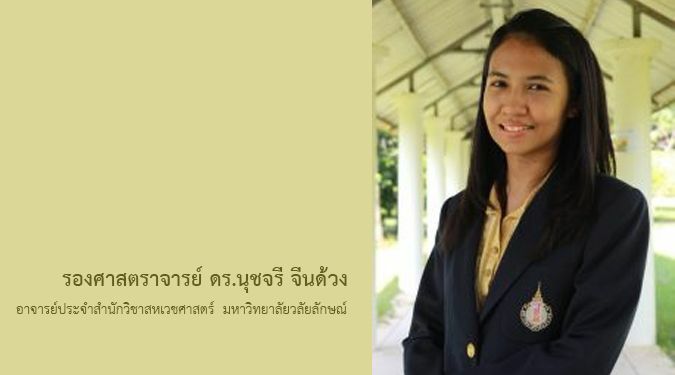 Top 5 passed the pharmacy license examination in Thailand. 3. To be an academic performance for competition of world wide. 4. Learn and practice together in community care and help people with mindfulness and humanistic. 7. Safe and peaceful ambiance. 8. Good environment for active learning. 9. School of pharmacy, we will take care you as a part of our family. 10. A lot of activities for all skill development (sports, academy, and outreach for society). 3.Design with Construction or Mock-Up. 6.Work at Walailak Design Center. 7.Publish in Walailak Design File and Walailak Design Thesis. 10.Combination of Architecture, Landscape Architecture, Interior Design and Product Design. 1. Graduates can use English proficiency due to the university emphasizes learning English from foreigner teachers every semester in the first year and second year. 2. Smart classrooms with high technology. 7. Developing research with teachers that highly impacted research and international network. 8. Improved communication skills to be the lecturer and produce new innovation to promote learning sciences. 9. Developing innovations and invention to international competition and have a chance to be an entrepreneur. 10. The desire for scholarships and chance to study in MSC. and Ph.D.
1. The school’s graduate employment rate is at 100%. 2. All programs are accredited by the Medical Technology Council. 3. 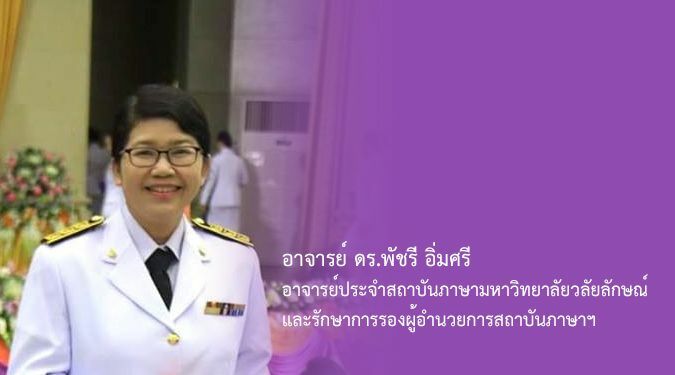 Medical Technology Program, Walailak University as the first Medical Technology school in the south of Thailand, produces graduates achieving a successful career and tackles staff shortage as well. 4. Active learning is highlighted in teaching and learning environment to promote lifelong learning. 5. The school established Medical Technology Program (Honor Degree) as the first and only medical technology program in the country, spending first 4 years studying and 1 more year conducting research to obtain a Bachelor of Science in Medical Technology and a Master of Science in Biomedical Sciences respectively. 6. The school offers a bilingual program in Medical Technology putting much emphasis on developing graduates with high proficiency in English to deal with foreigners. 7. Graduates are able to work for public and private hospitals in country or abroad, to hold a clinic, and to be an academician, a researcher, as well as an agent or entrepreneur in the medical products and equipments. 8. Graduates of physical therapy could further the career in Sports Medicine as an officer taking care of athletes. 9. The physical therapy and medical technology profession is still in high demand. 10. Our lecturers are highly professional and internationally recognized for their research and innovation. 10. We situate in the south of Thailand where you will find well preserved national parks, wildlife and several untouched beaches. 1.Want to be a graduate of English proficiency Walailak University focuses on learning English directly with foreign teachers. Every semester in the first two years of study. 4.Want to study in a green university The beautiful and beautiful. 6.Want to learn business management skills in agriculture The focus is on entrepreneurs themselves. 7.Want to learn business experiential farming skills during school In the first two years of the course. 8.Want to have the opportunity to study and cooperate in agricultural business. In both domestic and foreign enterprises. 10.Want to learn new technologies in agriculture To be a smart farmer from a qualified teacher in the network of modern agriculture. 1. 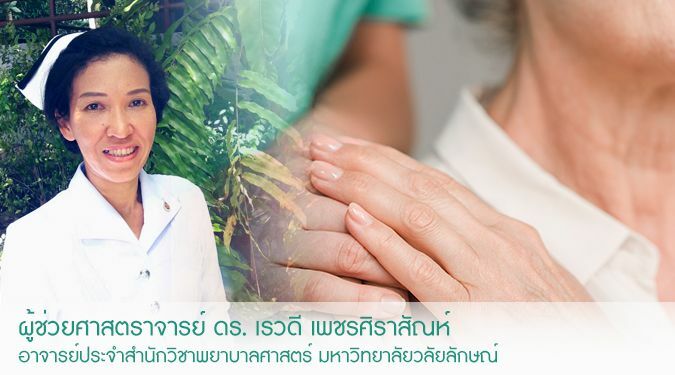 5 years guarantee from the council of nurses. 3. Training with the expert teachers. 5. Always take care by teachers who are adviser and we also have Smile & Smart Clinic for encourage all the side, such as studying, life, community etc. 8. There are many scholarship from various sources. Both government and private sector. 1. High rate of graduate employment with 90-100%. 2. More than 20 years professional teaching experiences. 3. Adequate tools and equipment for supporting active learning process. 4. Active learning process, focused on critical thinking, problem solving, practicing in communities and workplaces. 5. Strong network with communities and workplaces, which supporting learning and teaching, cooperative education, and employment of graduate places. 1. University degrees with 100% employment after graduation. 2. 100% National Licensing Examination passing rate. 3. Humility and public mind on community serviced are the hallmark of SMD WU medical students. 4. The staffs have wide range of expertise and experiences. 5. Several SMD WU research papers are published in international journal. 6. World Federation of Medical Education (WFME) standard curriculum. 7. Student’s center based education program and small group classroom. 8. An academic adviser system monitors students closely in all aspect of life to identify and resolve problems. 9. Supports the use of international databases (e.g., Wolters Kluwer, Elsevier, Lippinkott, etc.) in studying. 10. Institutional partnerships and student exchange programs with USA, England, New Zealand, Japan and China. 1.The School of Liberal Arts offers a wide range of programs which respond to the national development schemes and so are in high demand. Students choose programs depending on their own interests and expertise. Currently, the taught BA programs cover languages and social science disciplines. The English Program offers ordinary and international modules. The Chinese Program and the ASEAN Studies Program are offered under international collaboration, with students spending at least one year abroad. Studies abroad are offered in what are known as 3+1 or 2+2 modes. The Integrated Thai Studies Program, currently in great demand, enables learners who love the Thai language to apply their knowledge in a social context. 2. Academic collaboration with universities abroad widens the learner’s view and allows more exposure to the target language. The Chinese Program and the ASEAN Studies Program include a ‘study abroad’ module in the curriculum and this not only promotes learning but also increases overseas employment opportunities. 3.The Chinese Program provides ten grants annually for high performance students (GPAX min. 2.75) for further study in Chongqing University. 4. All students are required to take an internship for one trimester, under the course called Cooperative Education. This course prepares students for employment and application of knowledge in the real workplace. Training can be conducted in Thailand or abroad. 5. Emphasis is placed on active learning and use of the smart classroom in which the learner takes control over the learning under the instructor’s guidance. The learner’s involvement creates a positive classroom atmosphere. 6. With importance given to understanding culture, course content includes integrated activities to promote awareness of traditional culture and community values. 7. Each program organizes courses for fieldwork and research in accordance with the university’s social engagement plan. 8. Academic advisors and ‘advanced students’ students provide academic support, tutorials, club activities and advice on general issues under the WU SLA Happiness Club scheme. 9. The School places emphasis on the English ability of all future graduates. To graduate from the School of Liberal Arts students are required to be able to use English well, and be certified by a comprehensive exam score as indicated in the program requirements. 10. The Student Loan Fund, the Excellent Learning Fund, the Opportunity Fund and the Student Part-time Job fund (30 baht/hour) provide scholarships and other forms of funding. 1.Social Science students from secondary school in the South have chosen to study Political Science and Law at Walailak University, which have been in the top 5 for many years. 2.Walailak University has organized the high-standard of learning and teaching in political science and law. 3.Our academic staffs have high qualification, and dedicate to students. 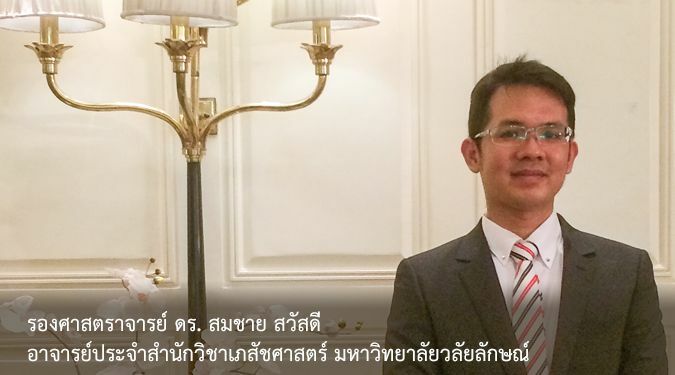 4.School of Political Science and Law has invited prosecutors, judges, and professors from Chulalongkorn University and Thammasat University and many established universities as our invited professor (full course) and invited lecturer (some course modules) every term. 5.School of Political Science and Law has adequate teaching and learning equipment, such as, Legal Clinic, Moot Court, Library, Self-learning Centre, and Smart Classroom with new learning technology. 6.Our SPL students have opportunities to develop professional and life skills by working in the co-operative education, training with leading public and private enterprises, including, high reputation law firm in Bangkok or various government agencies in national, regional and local level. 7.Our SPL students have been provided tools and specialized knowledge, for example, community research, research in political science and law, research presentation with insightful comment from prestigious academics invited by SPL every year. 8.School of Political Science and Law has a determination to cultivate our students to be dedicated, public-minded, citizen-concerned persons via several activities, such as voluntary camp at the rural area, and other community services. 9.SPL graduates are proud of their academic and living experiences at the University; the graduates are eager to be role models for our next generation of students. 10.SPL graduates reach high rate of success in employment and furthering their study in a post-graduate degree.